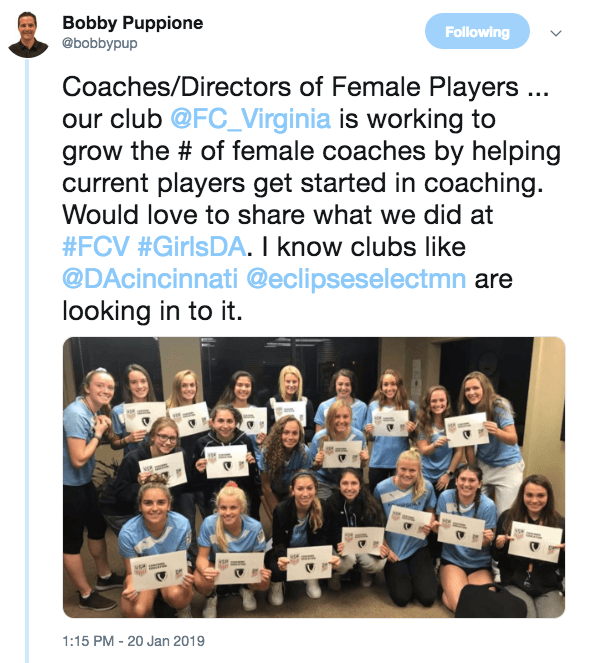 I was so excited to see this tweet come across my feed, and I knew immediately FC Virginia needed to be highlighted in the Clubs Winning Culture series. Encouraging and inspiring our players to explore coaching not only develops club culture and individual character, leadership and empathy for their current coaches - it also creates a pathway for the game to continue to grow and prosper. This is highlighted even a bit brighter with female athletes - as more female coaches in the game is important! Check out the quick video below about this fantastic coach education initiative! 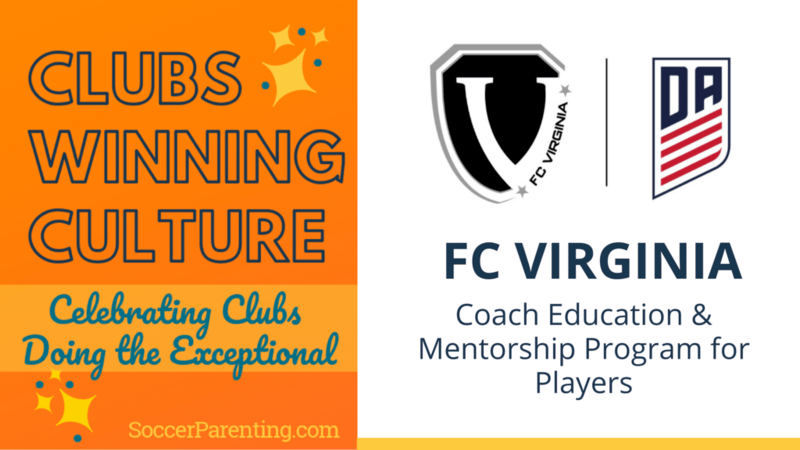 If you'd like to learn more about this program, you can reach Bobby Puppione at FC Virginia or connect with him via twitter @Bobbypup.